~ Present ideas and concepts effectively. ~ Communicate positively with each other and with your clients, customers and vendors. ~ Manage time and resources efficiently. ~ Sell your company, your products, your approach. ~ Continually improve their performance and their professional skills. Provide quality services to employees and their families to assist them in resolving life issues, stress, grief, emotional, marital, family and other problems that negatively impact their well being and productivity. Decrease the costs associated with excessive medical and workers compensation claims, sick leave, work-related accidents, and absenteeism. 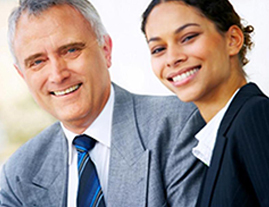 Assist our client companies by increasing productivity while reducing employee turnover. Provide direct assistance to supervisors/managers who are dealing with troubled and/or problem employees. Critical incidents are traumatic events that frequently cause powerful emotional reactions in people who are exposed to those events. For 35 Years, The Evelyn Frye Center has provided CISM services for employees of manufacturing companies, sales organizations, financial institutions and government agencies. The stressful events have included, line of duty deaths, co-workerÂ suicides, robberies, shootings, natural disasters, multiple event incidents and multi-casualty incidents. CISM is a process designed to prevent or limit the development of post-traumatic stress in people exposed to stressful events.Â Professionally conducted debriefings help people cope with, and recover from an incident’s aftereffects.Â CISM enables participants to understand that they are not alone in their reactions to a distressing event, and provides them with an opportunity to discuss their thoughts and feelings in a controlled, safe environment. Regardless of management responsibilities or salary, any employee instrumental to your companyâ€™s success is a key employee. They may include managers, highly skilled professionals, sales or marketing representatives or front-line customer service representatives. We provide coaching services to increase emotional intelligence, improve skills, and to assist employees as they transition into management or different responsibilities. Our executive coaches function as guides â€“ seasoned professionals who specialize in leading others toward increased competence, commitment and confidence. We address the areas most critical to each employeeâ€™s success in relaxed, one-on-one sessions that build both confidence and skills. We tailor our coaching programs to meet each employeeâ€™s specific needs as well as the needs of your organization. We work with you to determine how each person could benefit from coaching. Then, we deliver individualized programs that help them grow personally and professionally. During the past 35 years of serving businesses and individuals throughout Middle Tennessee, we have earned an outstanding reputation for our evaluation, coaching and counseling services. Our professionals are licensed clinical psychologists and skilled counselors with years of experience. Contact Us Today to Schedule a Free Consultation at 615-385-4090 or email us cinfo@efrye.com.Â We can assist you in determining whether our individually tailored services can benefit you, your company and/or your key employees.